The Inland Empire's booming logistics economy - now the biggest jobs provider in the region - has helped turn once-unincorporated Moreno Valley into Riverside County's second-biggest city. But as this photo at sunset shows, increased truck traffic has brought more smog over the area. 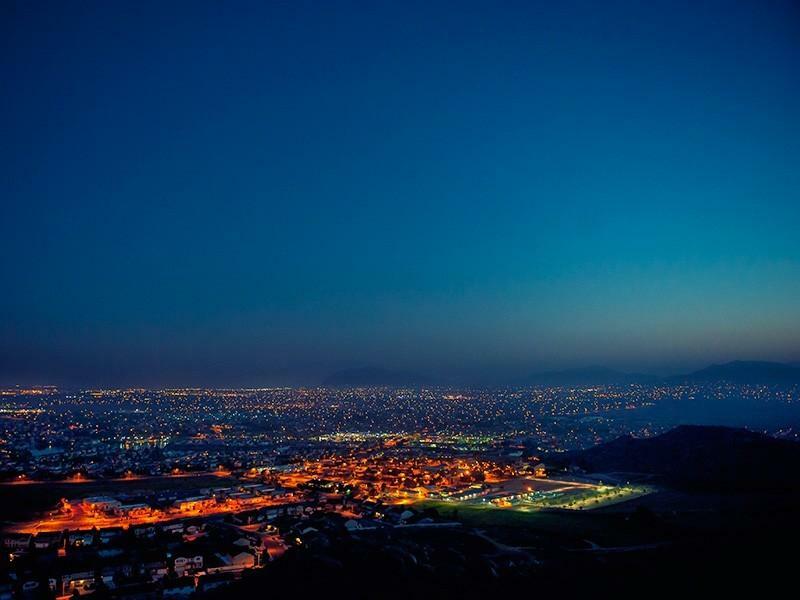 The Brown administration is looking for impoverished communities in California - including here in the Inland Empire - to designate as "Opportunity Zones," under a program created by the new federal tax plan. KVCR's Ken Vincent explains. A Teamsters Union local in San Bernardino is partnering with local business in the area to get more customers for the businesses and discounts for the Teamsters. More from KVCR's Lillian Vasquez. After years of decline, the number of television shows produced in California is on the rise. Lawmakers and Hollywood attribute the increase to a tax incentive for filming in-state. Capital Public Radio's Ben Bradford takes a look.